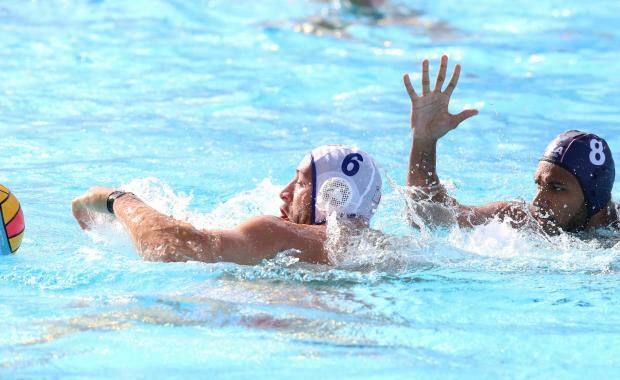 The Malta waterpolo national team suffered a heart-breaking shoot-out defeat to Turkey to in 16th place in the European Championships in Barcelona. It was a disappointing outcome to a match that saw the Maltese rescue in the final session only for the Turks to restore equilibrium before prevailing in a shoot-out. Malta coach Karl Izzo was without another key member of his squad, goalkeeper Nicholas Grixti who failed to recover from an ear infection, with Jake Tanti starting in goal while Dino Zammit returned home with a shoulder injury. Malta were off to a very poor showing in the opening session when their attacking struggles came to the fore, particularly in the man-up situation.ans+ where the team could only score once, through Matthew Zammit, from six opportunities. On the other hand Turkey were far more sharper as they converted three of their five opportunites to surge into a commanding 3-1 lead. Coach Izzo tried to lift his team’s spirits in the second session but the team were simply not finishing well enough their opportunities with Zammit netting the only goal for the Maltese. The Turks, on their part, converted two man-up opportunites to go into the interval 5-2 ahead. The game seemed to be slipping away from the Maltese grasp but Nicholas Bugelli bridged the gap before Aurelien Cousin put his team just one goal adrift with one session to go. The only sour note was that Matthew Zammit was fouled out leaving the team without their prolific scorer for the rest of the match. The Maltese team finally clicked into gear in the final session as Bugelli levelled the scores before Andreas Galea put them ahead for the first time – 6-5. Ali Yilmaz pulled the Turks level but Stevie Camilleri restored Malta’s lead at 7-6. The Turks kept fighting and send the match into a penalty shoot-out with a Nesbet Ozbek goal. In the shoot-out, both teams scored their opening five penalties. However, it was Michael Spiteri Staines who missed the crucial penalty to hand Turkey the win and leave Malta at the bottom of the standings. Turkey: H. Kil, F. Acar, O. Senemoglu, E. Kahranman, B. Biyik 1, Y. Duzenli, T. Ergin, E. Turan, N. Sonmez 2, N. Ozbek 3, A. Yilmaz 1, E. Gurdenli, E. Ozdemir. Malta: N. Grixti, J. Gabarretta, A. Galea 1, J. Abela, M. Spiteri Staines, M. Zammit 2, S. Camilleri 1, J. Camilleri, B. Plumpton, A. Cousin 1, N. Bugelli 2, J. Tanti. Referees: I. Kikalishvili (Georgia), D. Dutilh-Dumas (Netherlands).